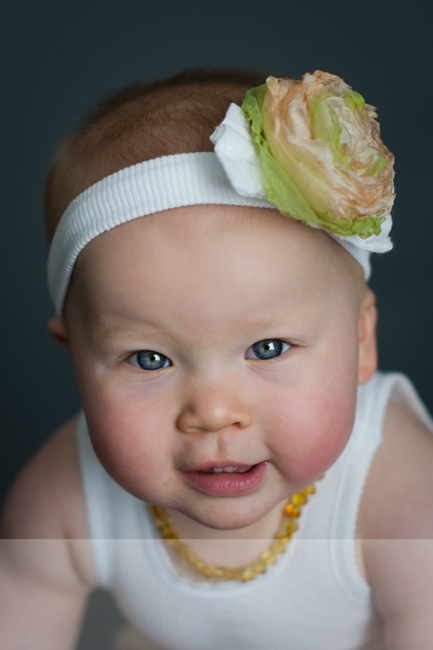 I first met Amelie for her newborn session last year. A beautiful, contented baby, she slept the entire way through. 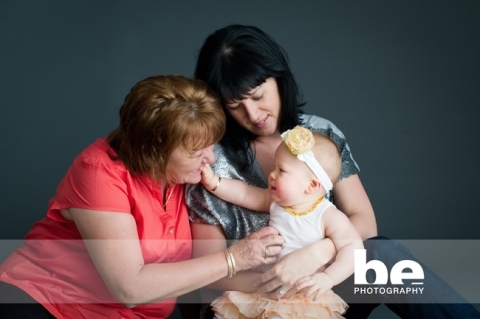 Her mother purchased one of our Mother’s Day certificates and gave it to her own mother as a present, so all three came into studio last week for a ‘generations’ shoot. While Mariann prefers the outdoors, the soggy frosty weather made that a little difficult, so we aimed for some fun, natural shots in the studio. Amelie is just beautiful, full of smiles, and clearly adoring of and adored by, the lovely women in her life. 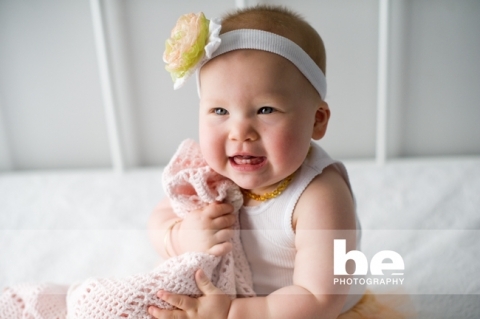 The pink rug she is holding in the last image is one that was made for her mother by her great grandmother, many years ago, so that kind of makes it a four generations shoot!